"CAPTAIN terminals and NAPLPS terminals using the V9938 have already been developed. We hope that the V9938 will be a standard video processing device on a worldwide basis." 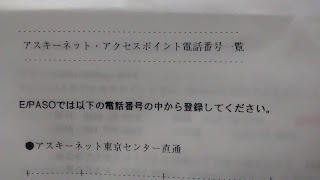 The "V9938 MSX-VIDEO Technical Data Book" is from August of 1985 and the V9938's copyright is from 1984. That give a narrow time window for these supposed terminals be released. But the text says "developed" not "released" which opens the possibility that these terminals were released in later dates. Which doesn't helps a lot in my search. In collaboration with YAMAHA, we developed a processor capable of displaying sprites and graphics for use on MSX 2. This LSI V9938 was produced in more than 5 million units and was also adopted for AT & T Inc. information terminals. Gives a very good clue to follow. AT&T was one of the creators of NAPLPS protocol and also sold NAPLPS terminals, maybe now we can find the mythical terminals with V9938 inside. So, let's leave the Japan terminals for a while and go to check the devices from USA. The first Videotex systems came from Europe, in the seventies, the best graphics they can do is to use some semi-graphical characters to assemble pictures in the screen. The semi-graphical characters are OK for that time, as we can see in ZX-81 and TRS-80 Model I (and remember that the Viewdata is older than both, first prototype is from 1974). A research group from Communications Research Centre in Canada followed other path. Given their background building CAD programs and plotting devices, they doesn't wanted to tie the graphical capabilities of their videotex system to any resolution available at that time. They created a language to describe the graphics as dots, lines, circles, arcs and polygons. This videotex system is called Telidon and the first public terminal is from 1978. Why all this story? Well, the Telidon was the basis for the NAPLPS. 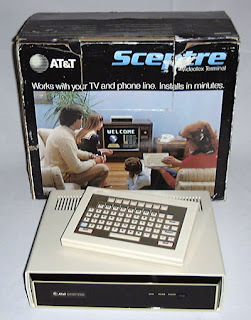 We already saw that the videotex was the technological buzzword of the late seventies/early eighties, but the AT&T had not a system to offer. To mind this gap they choose to join the Telidon project and added some new commands and features. That extended videotex system is the NAPLPS, acronym for North American Presentation Level Protocol Syntax, announced by CRC, Bell Canada and AT&T in 1983. With the tecnology itself consolided, AT&T then joined Knight-Ridder Newspapers and released the Viewtron, initially at Southern Florida. Although the Viewtron services looks very complete (online shopping in 1980's!!!) and the Sceptre was an impressive machine, in 1986 the Viewtron was finished. Not enough consumers that were willing to pay for the terminal and the service fees. 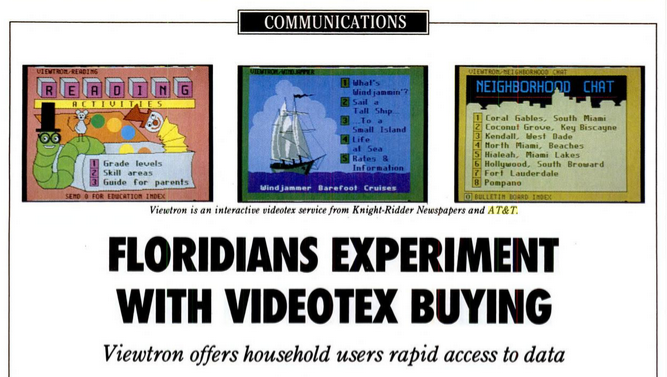 Being fair with Viewtron, the same happened with most Videotex services. Back to this blog subject, MSX archeology, the AT&T Sceptre can't be the NAPLPS terminal with V9938. The time window doesn't match, it was released in 1983. And in Wikipedia's Sceptre entry it says the video controller is the MC6845. 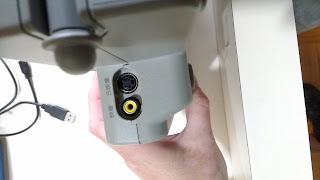 Finally, I found a NAPLPS terminal that uses the Yamaha V9938!! 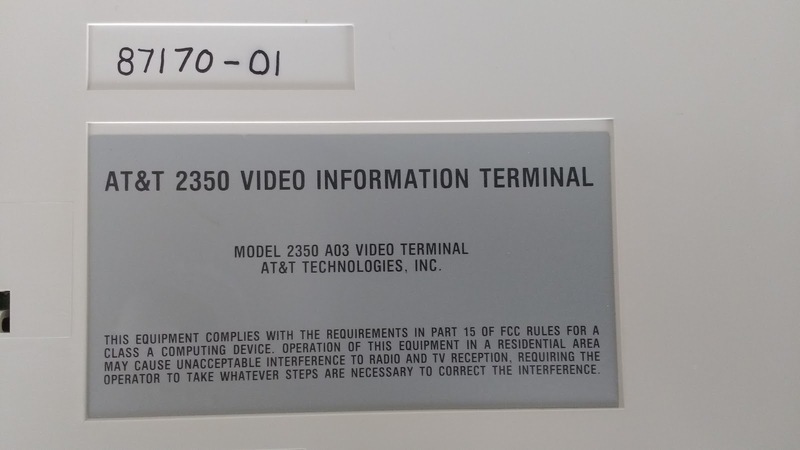 The AT&T 2300/2350 was released in 1987, so it can be one of those NAPLPS terminals "developed" before Aug-1985, we know that sometimes the time between project and release can be very long. But I don't believe it's the case. Probably older models of NAPLPS terminals at AT&T were the ones cited in the "V9938 MSX-VIDEO Technical Data Book", so more search is needed. But, at least, this is a proof that V9938 was used by some dedicated NAPLPS terminals. Next post we'll talk a bit more about this equipment. 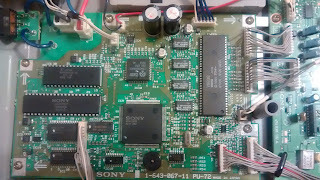 Search for hidden MSX devices is like follow a breadcrumb trail composed of old magazines, small pictures in auction sites, ancient web pages, rumours in forums, etc. And the trail sometimes deceives us. Even the search for MSX Video Titlers, which were easier to look for and their existance was known by the MSX community, gave some bad surprises. 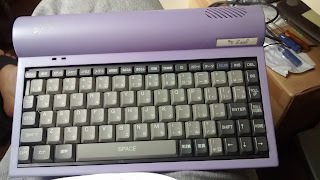 To make the search process a bit worst, the definition of a MSX based system is not the same between different people, so while someone believes that a machine with a V9938 and a Z80 is a MSX based appliance, the definition in use by this blog states that the candidate machine need run an unmodified (or slightly modified) MSX BIOS. Then we hit the definition of "slightly modified", and so on. At least another one that isn't. opinions which contributed to the development of the V9938." 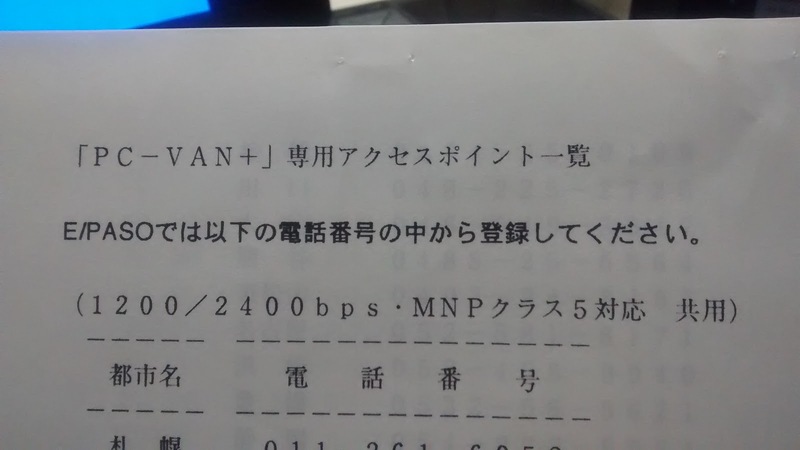 What interest NTT would have in a Video Processor development? 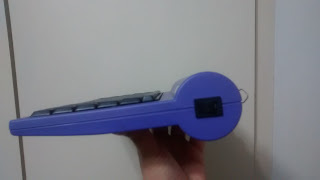 We know that a MSX1 can be a videotex terminal, as they actually were used by Telesp, one of the state owned Brazilian telecommunications company (which now is part of a Spanish group, Telefonica). The Telesp's videotex, called "Videotexto", was compatible with the videotex system used by France and many other countries, the Antiope. Antiope is a system defined in the seventies, so it's graphical capabilities are from this era: 40 characters per row and 24 rows. Each character can have a background and a foreground color from a eight colors palette (but most terminals are B&W). Using a set of semi-graphical characters, you can have a screen resolution of 80 x 72 "pixels". Some later implementations can redefine the characters to emulate a higher resolution. 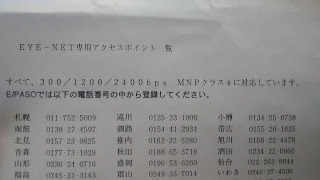 While the TMS9128, another son of the seventies, and his cousins are compatible with the Antiope specifications for Videotex, they aren't capable of all the requirements for advanced high resolution graphics like the ones needed by NAPLPS and NTT CAPTAIN. 1) A resolution of 256 x 192 pixels instead of the minimum NAPLPS SRM resolution of 256 x 200 pixels. 3) The TMS9128 has only 15 colors; the NAPLPS SRM requires the display to be able to handle 16 colors from a palette of 512." 2 Hybrid Terminal 204V x 248H Characters,marks,and mosaics are displayed at high speed using code transmission. Figures are displayed as "pattern". With 212 pixels of vertical resolution, the V9938 handles the CAPTAIN requirements (204 pixels) and still have enough space on screen to have a text row with status or navigation information. As NAPLPS SRM needs a lower vertical resolution than the CAPTAIN, it's also supported by the V9938. 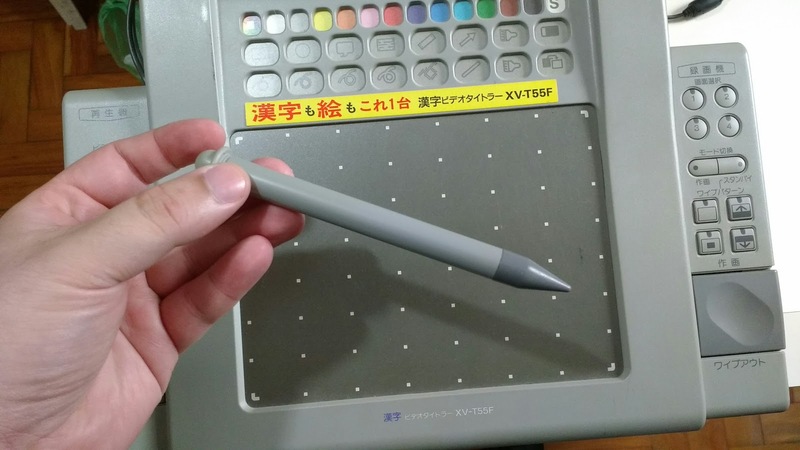 The V9938 have bitmap modes. Many. With different resolutions and amount of colors. By last, talking about the amount of colors, one of the V9938's bitmap modes supports 256 simultaneous colors and others have 16 colors from a 512 palette, exactly the same characteristics specified by NAPLPS (CAPTAIN asks for 16 simultaneous colors, but AFAIK it's from a 4096 colors palette). The "Thanks to NTT" and those technical specifications are strong evidence that the V9938 was *created* to be used in videotex terminals. As a bonus, it can be used in Teletext terminals; the teletext systems usually have the same technical specifications for screen resolutions and colors of their videotex equivalents (e.g. : NABTS is the Teletext version of NAPLPS). That made me search and buy many CAPTAIN devices and communication terminals. Those buys were the worst spent money in my search for hidden MSXs. 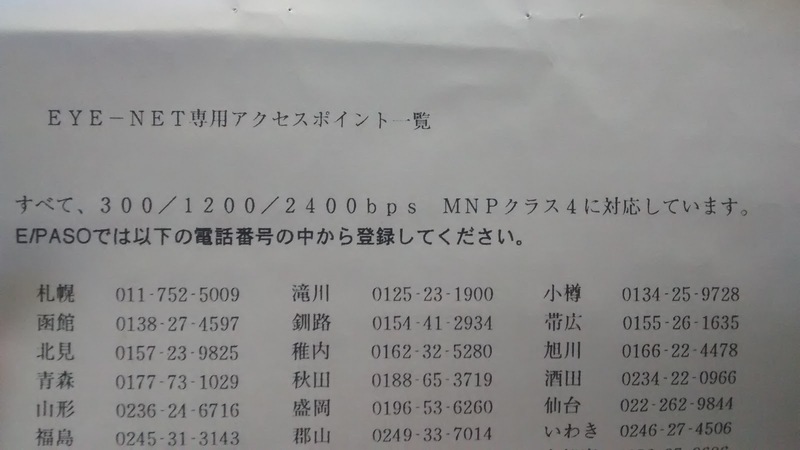 I got many CAPTAIN terminals but the only one in this list that have the V9938 video processor is the NTT Captain Multistation, and this one is not a hidden MSX! Some units even have the MSX logo! 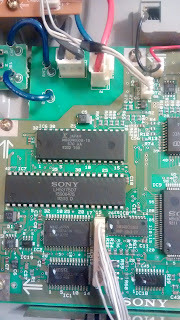 The Zeal E/PASO didn't have a V9938, but a V9958, the same video processor used by MSX2+ and MSX TurboR. 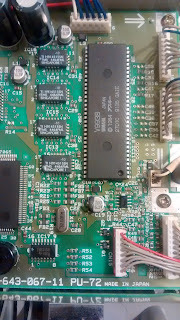 But, as we show in a previous post, even while the E/PASO shares the Z80-compatible CPU, the S3527 MSX-SYSTEM and the V9958 video processor with MSX computers, it didn't have the MSX architecture and can't boot the MSX-BIOS without hardware and/or software modifications. 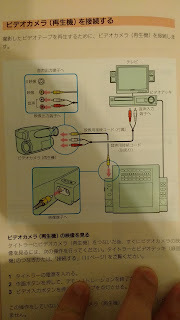 And I am still in the search of the CAPTAIN and NAPLPS terminals mentioned in "V9938 MSX-VIDEO Technical Data Book". 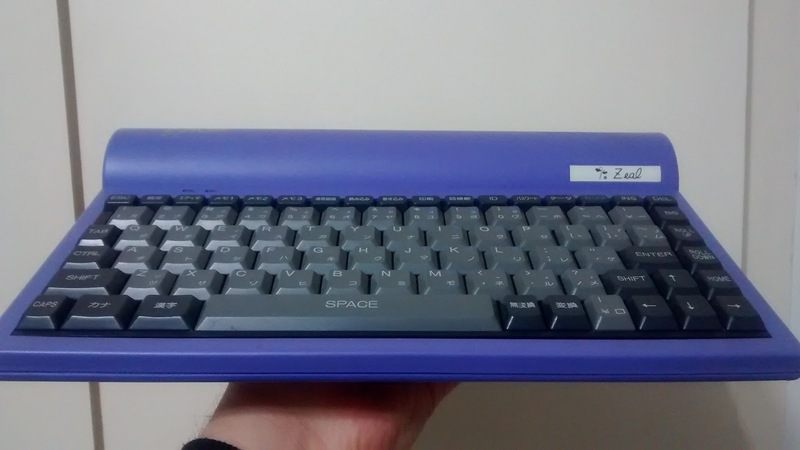 This post brings a sad news: the Zeal E/PASO isn't a MSX machine. I still didn't have the dumps of all ROMs. 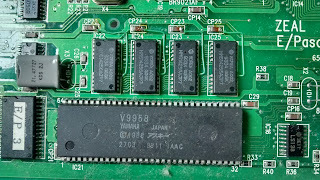 But, as RetroTechie pointed out in MRC's forum, there are some important connections missing between the Hitachi HD64180 (the main processor), the memories and the Yamaha S3527 (the MSX-SYSTEM). Ricardo Oazem, from Tecnobytes, confirmed this diagnostic. It's the first time in this blog that a appliance with a MSX-SYSTEM isn't compatible with the MSX architecture. Probably space constraints made Zeal to use the S3527. They needed a keyboard controller and a sound generator, the S3527 have both functions in a package very smaller than a i8255 and a YM2149. The slot handling is not used, the main memory and the embedded software seems to be connected directly to the HD64180. Even in a machine without the slot handling support, it's possible to run a modified MSX-BIOS, doing a direct mapping the ROM and RAM to the correct addresses. 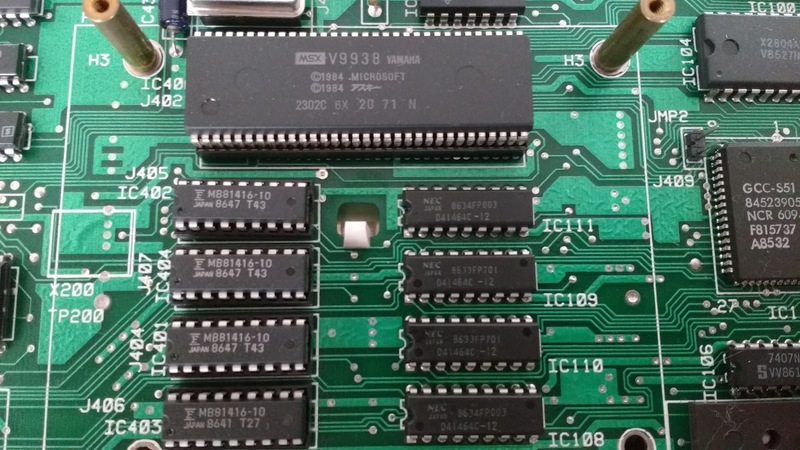 This modified MSX-BIOS can even be used to abstract different port addresses or some hardware incompatibilities. 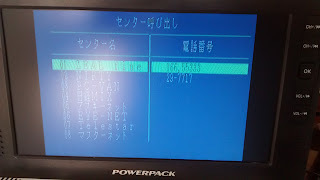 There are "MSX adapters" for other computers with a similar hardware which follows this path to play some MSX games (and probably this works to play almost all 8-32KB games that uses the MSX-BIOS to access the hardware). Maybe this can be done with the Zeal E/PASO. We now have the contents of these ROM and EPROM. Those text strings looks a lot like PPP's "conversation" strings between a client and a server. Probably this EPROM is used by the modem controller. If you want to read those ROMs yourself and make your own guesses, you can download both files in this tarball. With those two EPROMs we still didn't have any code for HD64180/Z80. There a lot of other ROM ICs to read, I hope to have those files soon. Then we'll see if the E/PASO software was derived from MSX-BIOS code and maybe have some clues to adapt a MSX-BIOS to run in this machine. 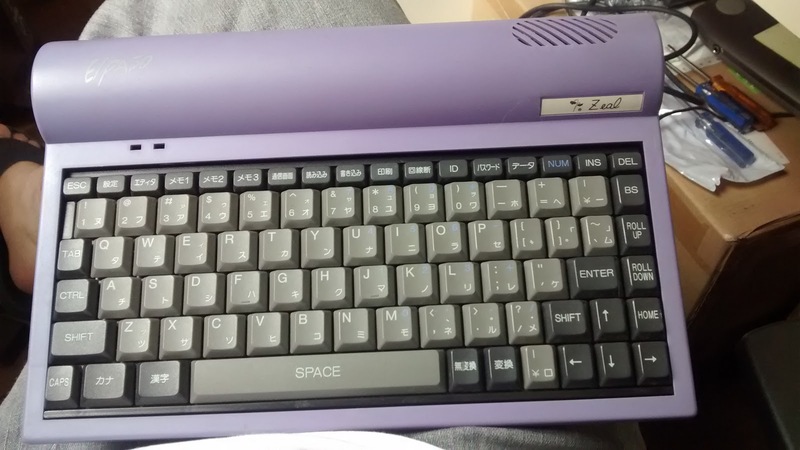 Yes, I still didn't give up the idea of using Zeal E/PASO as a MSX. 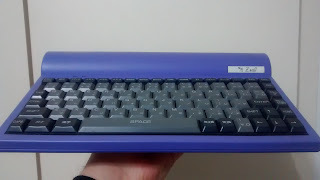 And now, the previous posts were updated with the "Not MSX" tag. Hi guys, this blog, while in a very slow pacing is not dead yet and its death is not in my plans. But I know that a four months silence isn't a good health sign. I still have a lot of appliances to show, ROM images to provide and information to share. Why this lack of new posts is happening? Mostly because I reached my technical skills limits. There are some posts that are waiting for ROM dumps. I have a ROM/EPROM reader, but I am very bad working with a solder iron, so I can only dump the ICs that are placed in sockets. There are at least four posts in this situation. Other posts are waiting for some additional equipment to arrive from overseas. There are two posts waiting for things to come. And, last but not least, there is the lack of time/priority to keep all projects running. 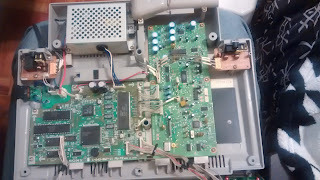 The activities to write a post includes a lot of research, time to disassemble the equipments, identify the ICs, take pictures, search for datasheets, sometimes read the ROM dump, etc. There are an unknown number of posts waiting to exist, the time shortage prevents they to be written. I believe that, soon, we'll have some news. 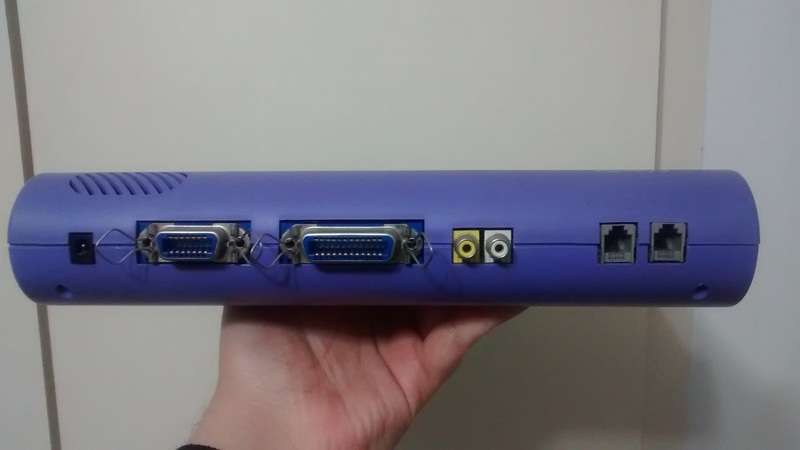 In the first post about the Zeal E/PASO, we saw a bit of the history of personal computer network, and some informations about this communications terminal. In this post we'll see its insides and if it is or not a "hidden" MSX. And What Is Inside Zeal E/PASO Communication Tool? This is the board of Zeal E/PASO, it's very compact. Magic. Pure Magic. That's what is inside this machine released in 1993 and sold until 1998. 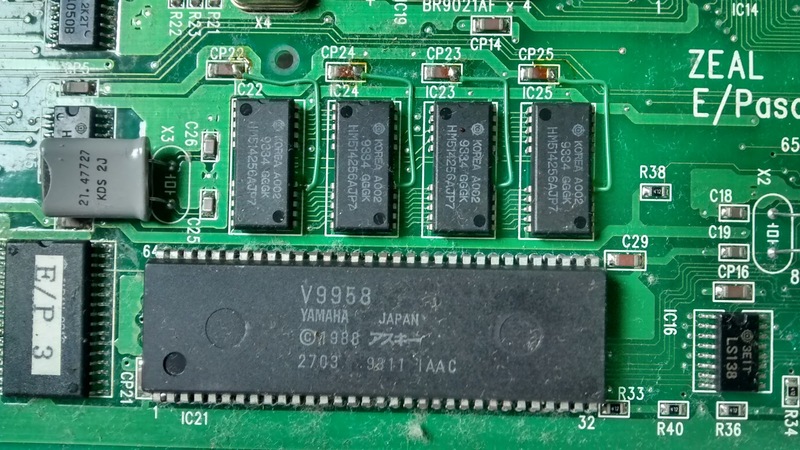 It's very easy to spot the Yamaha V9958 and the four RAM ICs (totalizing 128KB of VRAM), which means the E/PASO have the same video than a MSX2+, as other appliances that we saw before in this blog. Close to the keyboard connectors we can see the MSX-SYSTEM chip. This Yamaha S3527 implements the PSG, PPI, slot handling and some additional logic. With it and the VDP checked, the only important piece missing to make a MSX is the Z80 processor. middle and, at right, a MaskROM and a EPROM. And it's there, just behind the 12.288MHz crystal. 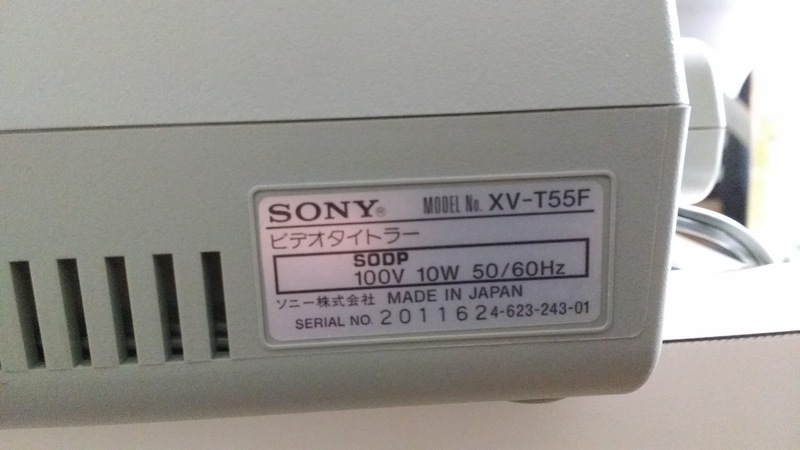 It's a Hitachi HD64180RF-6X. It's a 16-bits processor made by Hitachi that keeps the compatibilty with Z80. It can run in "Z80" mode, which is almost the same of Z80 running at high speed, but it also have additional modes and could support up to 1MB without doing paging. If we confirm that E/PASO is a MSX, it will not be the first using an enhanced Z80 as main processor. The first that comes to mind are the MSX TurboR machines, with the R800. But the A1GT and A1ST are not the only MSXs and not even the first ones to provide another CPU in addition to the Z80. Victor released two MSX2 machines, the HC-90 and HC-95. Both are amazing machines with RS232C, video editing features, more memory and, of course, the turbo mode with the enhanced processor. They are the ultimate MSX2 machines. "(1) Turbo Mode to achieve the high-speed arithmetic processing"
you will have 2.2 times the performance of other MSX2s. 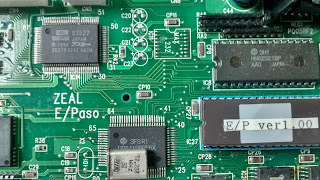 The faster processor used by HC-90/95 is the HD64180, the same used by E/PASO. What E/PASO did first, is to use *only* the enhanced Z80. There are some programs in the wild that uses some "bugs" and undocumented instructions of original Z80. Being a Z80 compatible, the HD64180 follows only the documented behavior of Z80, so the programs that uses the undocumented instructions won't work (or will freeze at random). 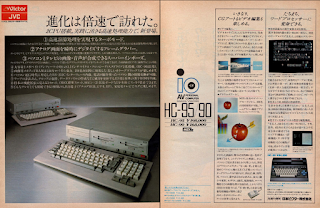 To have a high speed mode and the access the huge program library that the MSX have, the HC-90/95 have two processors: the HD64180 and a common Z80. You can select which processor will be active by a switch, at boot time. Changing the switch will choose the processor and the BIOS that will be used. The MSX TurboR machines have two processors, too. With two advantages over HC-90/95: you can select between Z80 or R800 by software and at will, not only at boot time. 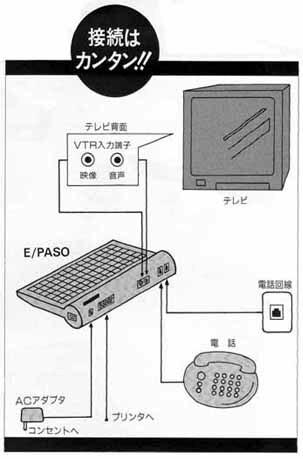 E/PASO was a appliance built to run only the built-in software. 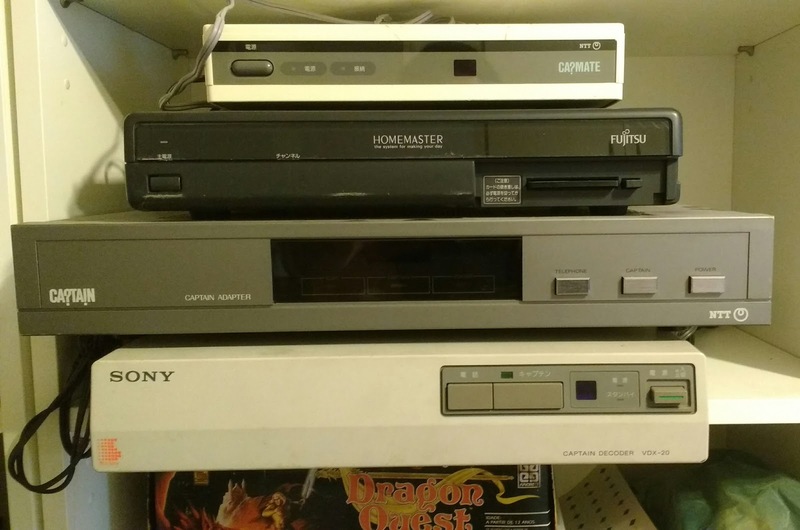 The upside of being a appliance was that it had no need to run all MSX software, which means that there was no need of a additional Z80 to solve any incompatibility between the some software and the HD64180. To save money and keep the design simple, the E/PASO can have only the HD64180 as its main processor. At right of HD64180 processor, the E/PASO have a Hitachi HN62321 MaskROM, with 128KB, and a EPROM with a sticker saying "E/P ver1.00". I guess the Hitachi is the Kanji-ROM and the E/PASO software is in the EPROM. Good, that this EPROM is on a socket, that makes it easier to dump this software. I am very curious about what is inside this EPROM. 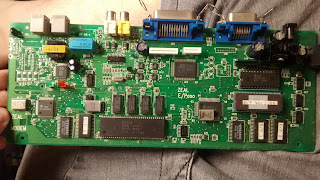 There is also two ICs labeled as "E/P 1" and "E/P 2", which I don't have any idea about what they are. 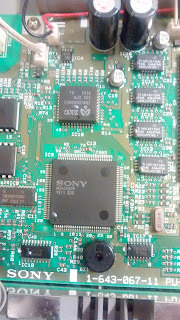 At their left side we have a RAM chip, a Hyundai HY62256 with... 32KB. Seriously? This machine have only 32KB RAM!?!? This is the downside of being a appliance. A huge downside in my opinion, considering that this machine doesn't have a lot of internal space to put more RAM and almost no external expansion possibilities. 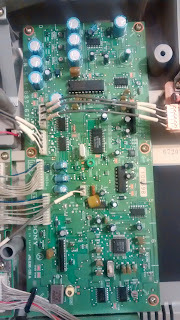 The modem circuitry is at PCB's left side. Looks like a separated world from the rest of PCB, and deserves it's own silk saying: "ZEAL MODEM". This world have a modem in a chip (IST SC11024CQ), which needs to be used in conjunction of a modem controller (IST SC11043CQ). This set have it's own clock and a 32KB RAM (another Hyundai HY62256). Next to the RAM there is another IC labeled as "E/P 3". Like the "E/P 1" and "E/P 2", I don't have idea of what the "E/P 3" is. 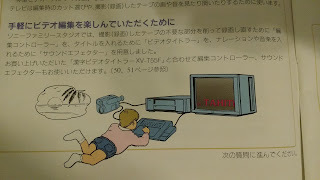 If we consider only the components used in Zeal E/PASO, it's a MSX based machine. But, as usual, we need to check the contents of E/PASO's EPROM, so we can confirm the MSX architecture. And we will take a look on this EPROM in our next post. I wrote this post some time ago and was waiting for the end of "MSX and video production" series or a special date to publish it. Well, the "MSX and video production" is still going, but this weekend is a special date for MSX users in Brazil: It's the MSX Jaú meeting, the biggest and most famous MSX users meeting in Brazil. So, I hope you enjoy the Zeal E/PASO Communication Tool and can see it at Jaú. Today there is a urge to put all appliances connected through network and some manufacturers pushes the access to network services using the television as video display, or by providing the computer capabilities in the television itself (the so called SmartTVs), or with the aid of dedicated appliances (like the many Android-on-a-stick-with-HDMI). Although this last try seems to be the most successful, it is not the first one to make the TV the gateway to the network. 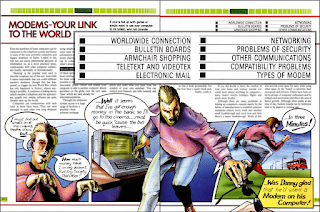 The connected world is an old dream and, from the late 70s/early 80s, the network services were selling to user the possibility of online shopping, electronic mail, access to libraries, etc. Another dream almost as old as the connected world using the TV, is to provide a low complexity access to the "common Joe". With this easy access, the network could be used by everyone and not only for the computer literate. By many years people thought this objective would be achieved using videotex dedicated terminals. Those terminals are appliances connected to the phone line and the television. 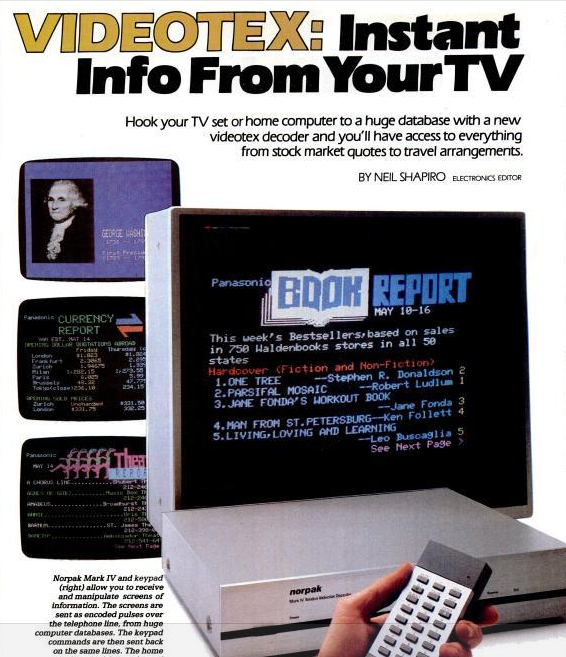 When you power on the terminal, you can use the videotex network. 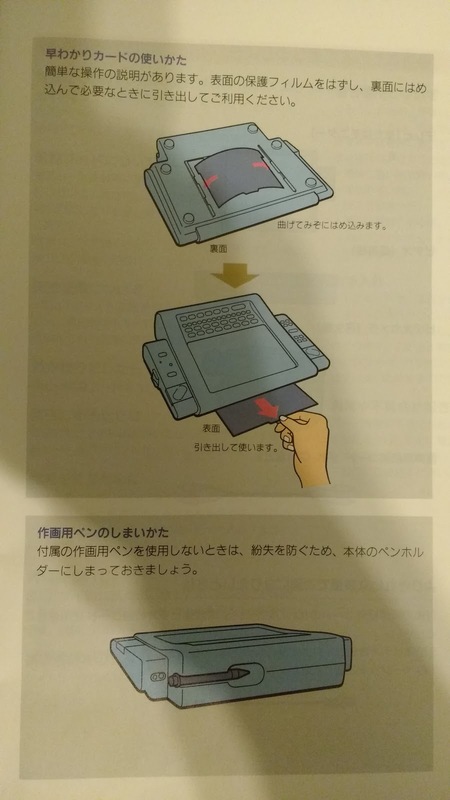 No need to suffer to install software or memorizing arcane commands. See? 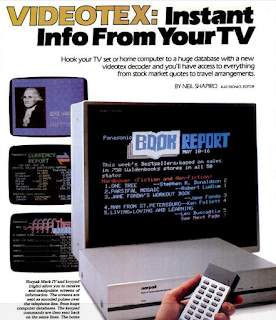 The videotex decoder gives access to everything! But the videotex services aren't the only kind of last century's network, taking a another path we had the "online services". Those companies started renting computational power to their customers (usually other corporations), then they began to provide network services and, some time later to provide network applications (as electronic mail, file transfer, news, etc), using the information and communication infrastructure that they built. Eventually those services began to be offered to consumer by the same companies that were doing the corporate services (like Compuserve) or by new ones (like Prodigy), dedicated to consumer market. Most of the users of these networks are microcomputer users. And that online services user base was much bigger than the videotex services. 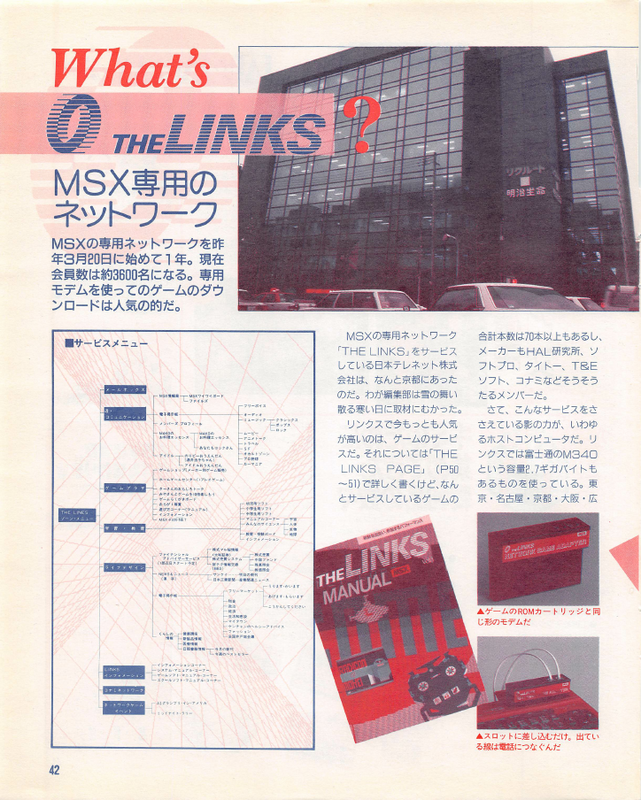 Article about "Modems" in INPUT Magazine UK Vol.2 N.20, in 1984.
mail, worldwide connection, videotex, bulletin boards, etc. 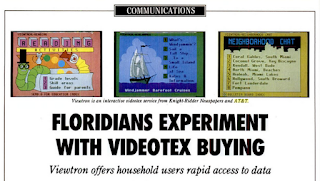 The videotex is only one of many options. 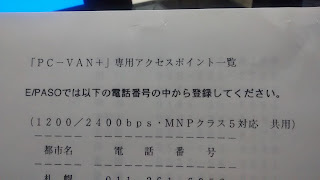 While in the last paragraph we used two USA companies as examples, the same dynamic happened in Japan, where Nifty-Serve, PC-VAN, ASCIInet and others grew in popularity and NTT CAPTAIN kept a much smaller user base. Some of those networks had national presence, others were very small, some had a very broad scope with dozens of internal groups and others were highly specialized in one or few topics. To be part of this world usually you need a computer, a phone line, a modem and a paid subscription to play games, change messages with your friends, buy tickets, etc. 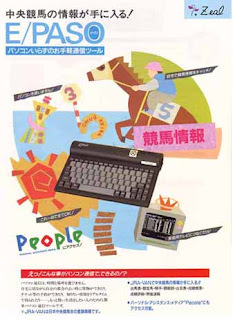 exclusive to MSX computers, with games, message boards, etc. 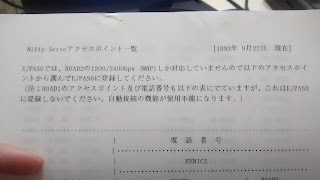 Zeal Corporation, at NTT's request, made a CAPTAIN terminal in 1992. 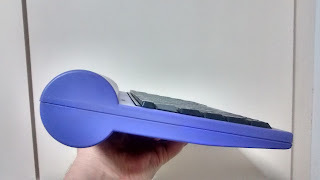 Having the online services as a target and trying to avoid the complexity associated with computers, in 1993, Zeal Corporation releases the E/PASO, a communications terminal which have the computer and modem integrated in one compact unit. A new try to bring "common Joe" to the network. "The race's information in your hands!" The selling point of E/PASO was "パソコンいらずのお手軽通信ツール" which translates to "Easy communication tool. No need of a personal computer". 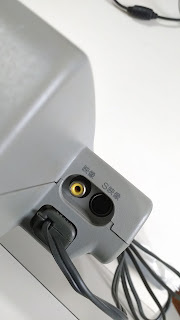 To have the world (and racing) information in your hands, you only need to connect the E/PASO to the TV, the power outlet and the phone line. 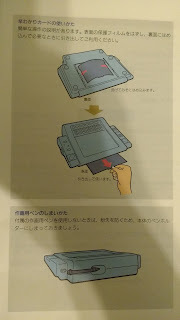 It's funny to see that Kobe Port CAPTAIN tries to sell more terminals telling to their users that CAPTAIN Multi-Station isn't only a videotex terminal, but a full fledged computer. Zeal goes the opposite way, trying to sell their terminals telling to their users that it's only a terminal and they won't need a computer. The E/PASO was sold until 1998, when it got replaced by the DREAM TV Web Terminal, which, while uses the same cabinet, is totally different inside, with a MIPS PR31500 central processor and running Windows CE. 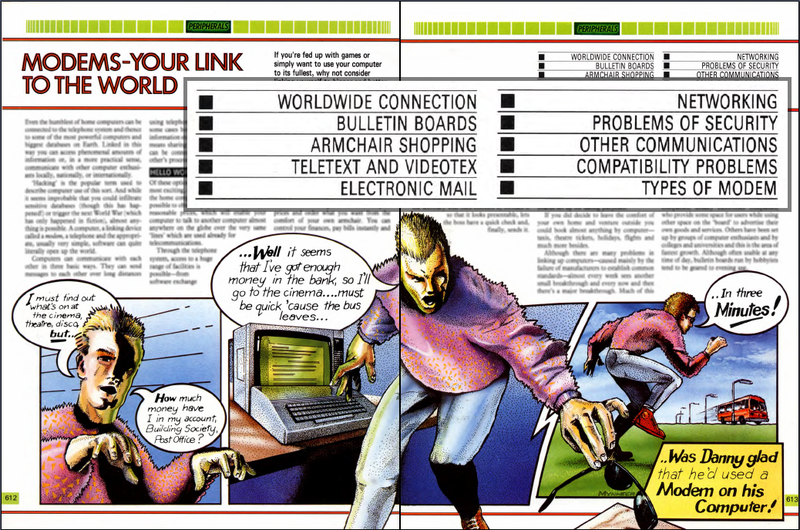 With the same basic function, but instead to provide access to Online Services, BBS and Videotex, the "DREAM" was designed to surf in the World Wide Web. Another try to bring "common Joe" to the network using the TV as display device (if someone is counting, this is the third try). Of course we don't care about Windows CE machines in this blog, so let's go back to E/PASO. It's a beautiful unit. It's not a surprise that Zeal keeps using this cabinet "forever"
The terminal is very compact and light. The keyboard have a modern look and have a nice "notebook" touch. 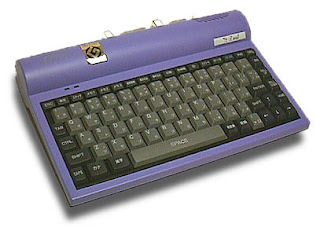 The functions keys are renamed to functions specific to communications terminals: Configuration, Writer, Notes, Print, ID, Disconnect, etc. 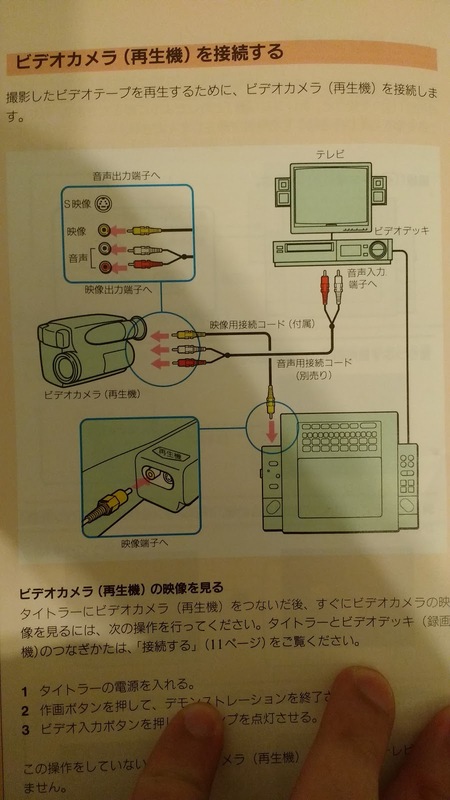 Video/Audio (RCA) and two RJ11 to connect to the phone and line. The connection's diagram that we saw before doesn't show the expansion port, probably to keep it simple to E/PASO's users. The product specifications says that an optional CD-ROM or disk drive are available to be used with E/PASO. If it's true, the expansion port is the only connector where those optional disk drives could be plugged. When the machine is turned on it shows a list with many network providers and their numbers. Testing the function keys I found other screen to change those network configurations and another one with some kind of text editor. The E/PASO can also works as a CAPTAIN terminal (the CAPTAIN phone number are in the second screen of network provider's list), but I can't test it as there is no CAPTAIN network available. Sadly this terminal don't have the CAPTAIN Tones capacity, a small drawback for a so clever appliance. This is the first CAPTAIN terminal that I saw who have a sound output and isn't compatible with CAPTAIN Tones. 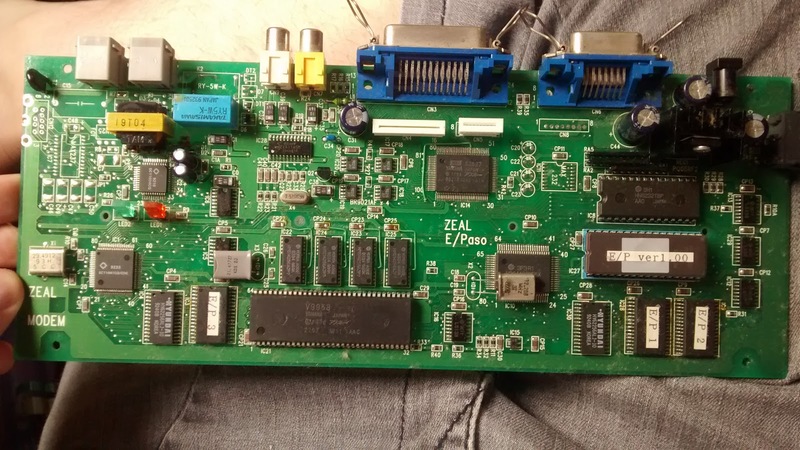 Next post we'll see the insides of Zeal E/PASO Communication Tool. 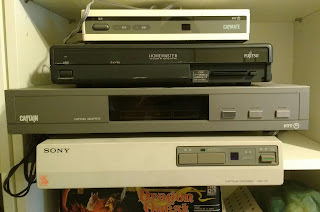 As our MSX and video production series showed, Sony made a lot of video edit gear based in MSX technology. We already wrote about XV-T550, XV-J550, XV-J770, XV-J777 and XV-J555. 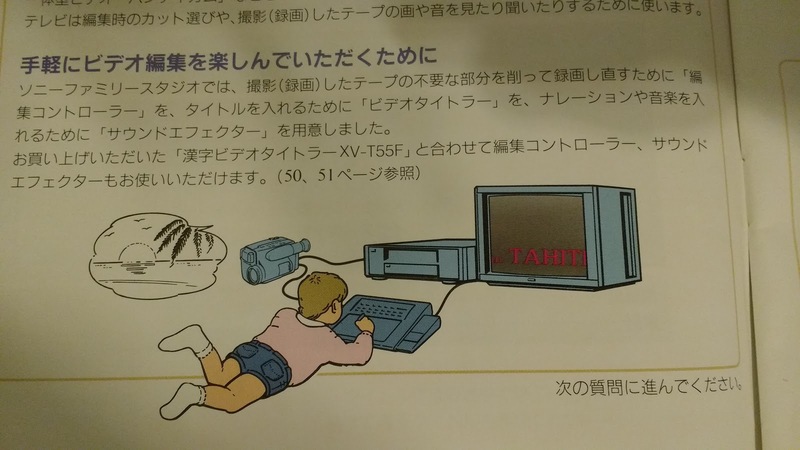 The only one that wasn't based in MSX was the XV-T600. Even a child can use it! There are only a few buttons at left and right. "rails" to fix a video titler operation's cheat sheet. 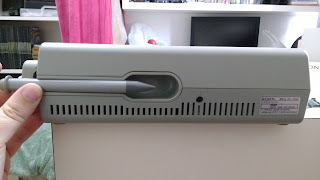 At back of this unit we have a place to store the stylus. number could be useful for someone. in the connectors at right. For completeness sake, this is my bad photo of the video inputs. 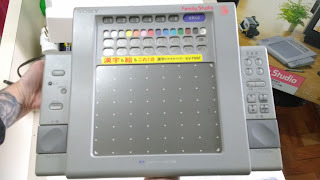 While the integrated "tablet" is a new thing for Sony Video Titlers, this blog already have a post about other Video Titler with a similar look, the Victor JX-T500. And this is not good news: the JX-T500 isn't MSX based. 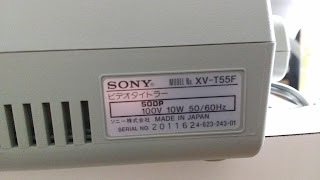 What's inside the Sony XV-T55F? 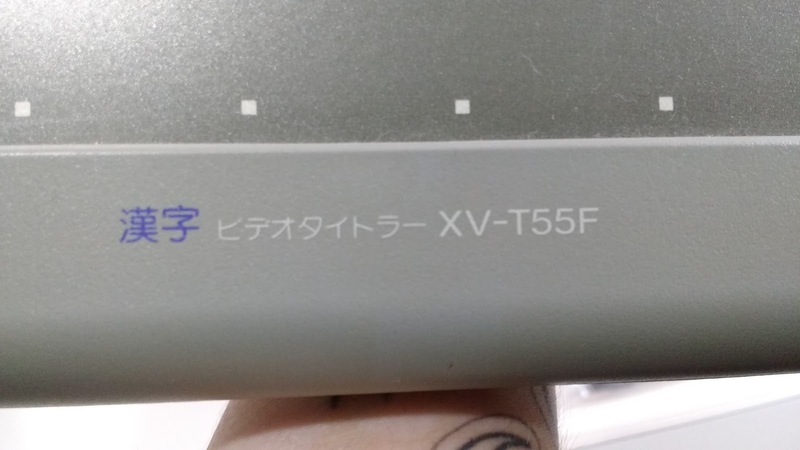 The XV-T55F case is easy to open, you only need to take care with the few wires connecting the boards that are in the lower half, to the buttons and tablet surface, in the upper half. As usual, we don't spend to many time with the video board. In the XV-T33F's Service Manual, the board is called "superimpose module", so we'll use this name here. Now is time to check the mainboard. 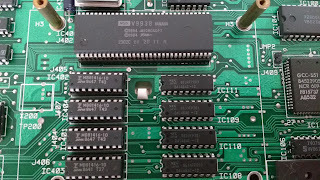 Let's remember what makes a MSX: Z80 processor, video processor compatible with TMS9928, at least 16KB of VRAM and 8KB of RAM, MSX BIOS and an equivalent of Intel 8255 PPI and GI AY-3-8910, usually those last two items and some additional logic are embedded in a MSX-Engine or MSX-System custom IC. In our "MSX based" checklist the MSX BIOS isn't a need, but the machine needs to be able to run it. at top-center shows to us where is the Z80. A quick glimpse in the mainboard shows two items from our checklist: the Yamaha V9938 VDP (the same of MSX2) at the right side and the Z80 CPU at the top-center. 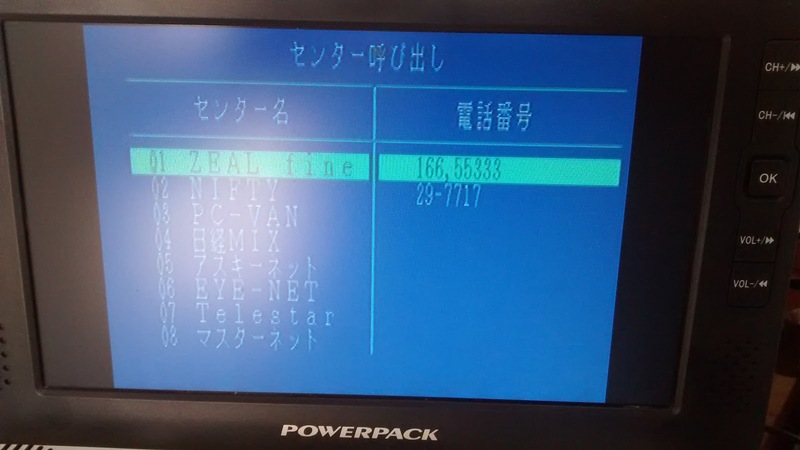 The V9938 with a 128KB VRAM are good signs for a MSX2 compatible machine. The ICs at left are ROMs and RAMs which can contain an MSX compatible software, which is a good sign, too. A close look on these ICs shows two ROMs and three different RAMs. There is a 512KB ROM from Fujitsu, which we guess houses the Video Titler Program ROM and a bigger one, with 42 pins, from Sony. I didn't found any doc with the size of this ROM, but the other ROMs with 42 pins that I found are huge, with several Megabytes. I suppose this IC is where the Kanji fonts are located, they need a lot of space. The three RAM ICs are two SRAMs and one DRAM. The DRAM have 128KB and is the Main RAM of this Video Titler. I don't know why there are two separated SRAM. Those ICs saves the titles and drawings created by the user and are backed by the AA batteries. I guess the smaller of those SRAMs are backed by another power source and can survive the battery change process. The Z80 CPU is a Z840008 from Zilog. I don't know in which frequency it runs in this titler but it's able to run at 8MHz. It seems the late video titlers needs a faster CPU than the traditional Z80@3.57MHz. In the Victor JX-T800 and in Panasonic VW-KT300 we have the Z80 it running at 6MHz. The Victor JX-T500 is more radical and the Z80 was replaced by a processor from the Motorola 68k family. While the other Sony Kanji Video Titlers uses the Yamaha S1985 (MSX-System II) to provides the PPI, PSG and all slot handling logic, the XV-T55F have a big custom gate-array with 120 pins, the MB620839 from Sony. Again, we already saw the same approach in Panasonic VW-KT300 and Victor JX-T800. 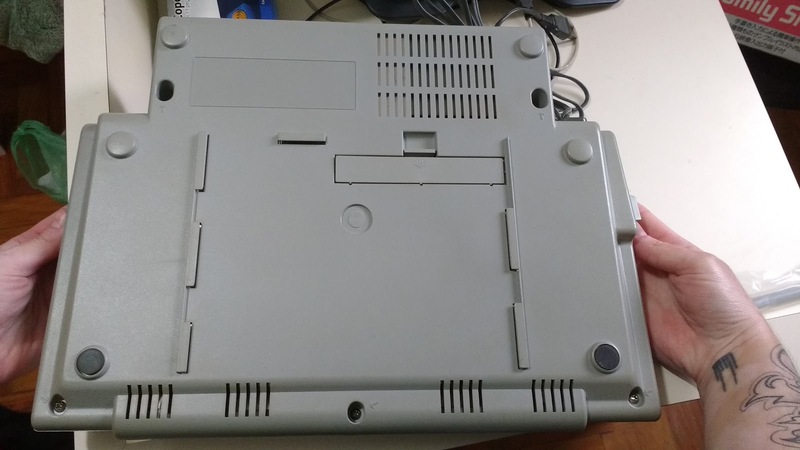 We can only know if these custom gate-arrays really implements the MSX architecture finding the documentation (almost impossible) or reading the ROMs and search the code to initialize and access the MSX hardware, like the slot handling, configure PPI ports, mute the PSG, etc. In the VW-KT300 we saw the initialization code inside the Video Titler Program ROM and confirmed that it can run an unmodified MSX BIOS. These tests still needs to be done in JX-T800 and, now, in XV-T55F. I marked the Victor JX-T800 as MSX based, but now I am rethinking about that. Until the ROM was read we can't really say anything about the machine itself. Next post we'll look the XV-T33F internals and disassembly its ROMs which are already dumped and available at HansO's site. EDIT 2016-11-01: Fixed the correct frequency of Z80 in Panasonic's and Victor's video titlers. In the first version of this post it was published as "XMHz".